An ecosystem consists of interactions of plants, animals, and microorganisms with their physical (such as soil conditions and processes) and climatic conditions. Native plants form plant communities and biological interactions with specific flora, fauna, fungi, and other organisms. For example, some plant species can only reproduce with a continued mutualistic interaction with a certain animal pollinator, and the pollinating animal may also be dependent on that plant species for a food source. 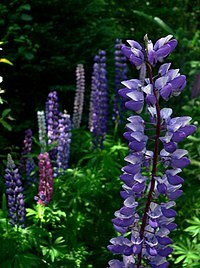 Some native plants have adapted to very limited, unusual, or harsh conditions, such as cold climates or frequent wildfires. Others can live in diverse areas or adapt well to different surroundings. The diversity of species across many parts of the world exists only because bioregions are separated by barriers, particularly large rivers, seas, oceans, mountains, and deserts. Humans can introduce species that have never met in their evolutionary history, on varying time scales ranging from days to decades (Long, 1981; Vermeij, 1991). Humans are moving species across the globe at an unprecedented rate. Those working to address invasive species view this as an increased risk to indigenous species. As humans introduce plants to new locations for cultivation, or transport them by accident, some of them may become invasive species, damaging native plant communities. Invasive species can have profound effects on ecosystems by changing ecosystem structure, function, species abundance, and community composition. Besides ecological damage, these species can also damage agriculture, infrastructure, and cultural assets. Government agencies and environmental groups are directing increasing resources to addressing these species. When restoration projects are undertaken to restore a native ecological system disturbed by economic development or other events, they may be historically inaccurate, incomplete, or pay little or no attention to ecotype accuracy or type conversions. They may fail to restore the original ecological system by overlooking the basics of remediation. Attention paid to the historical distribution of native species is a crucial first step to ensure the ecological integrity of the project. For example, to prevent erosion of the recontoured sand dunes at the western edge of the Los Angeles International Airport in 1975, landscapers stabilized the backdunes with a “natural” seed mix (Mattoni 1989a). Unfortunately, the seed mix was representative of coastal sage scrub, an exogenous plant community, instead of the native dune scrub community. As a result, the El Segundo blue butterfly (Euphilotes battoides allyni) became an endangered species. The El Segundo Blue butterfly population, which had once extended over 3200 acres along the coastal dunes from to Ocean Park to Malaga cove in Palos Verdes, began to recover when the invasive California buckwheat (Eriogonum fasciculatum) was uprooted so that the butterflies' original native plant host, the dune buckwheat (Eriogonum parvifolium), could regain some of its lost habitat. Native plant organizations such as Wild Ones, native plant societies, and Lady Bird Johnson Wildflower Center  encourage the use of native plants, especially in public spaces. The identification of local remnant natural areas provides a basis for their work. The use of native cultivars is a widely disputed practice among native plant advocates. ^ Tallamy, Douglas (2007). Bringing Nature Home: How You Can Sustain Wildlife with Native Plants. Timber Press. ^ "Point Reyes National Seashore, Drakes Estero, A Sheltered Wilderness Estuary", National Park Service, United States Department of the Interior, p. 16. ^ Travis Longcore, Rudi Mattoni, Gordon Pratt, and Catherine Rich, "On the perils of ecological restoration and the El Segundo blue butterfly", in press, for 2nd Interface Between Ecology and Land Development in California. Occidental College, April 18-19, 1997 Online. ^ "California's butterflies: The El Segundo Blue", Quino Checkerspot Captive Breeding Program, Vista Murrieta High School. O line. ^ "Native Plant Societies". nanps.org. Retrieved 2018-09-23. ^ "Lady Bird Johnson Wildflower Center". Wildflower.org. Retrieved 2012-07-09. Returning Essential Wildflowers to America’s Landscapes: Project Milkweed, Xerces Society Milkweeds (Asclepias spp.) are the required host plants for caterpillars of the monarch butterfly (Danaus plexippus). Mary M. Walker, "Native Plant Societies of the United States and Canada"
Stein, Sara (1993). Noah's Garden: Restoring the Ecology of Our Own Back Yards. Houghton-Mifflin.